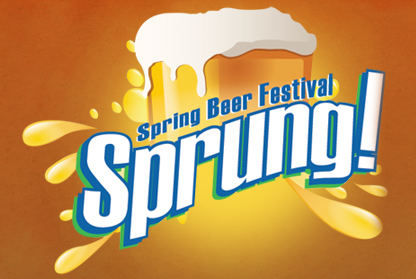 Who's going to the Sprung! Beer Festival in Coconut Grove on Saturday, March 8? I'll be the guy having a hard time deciding which beer to try first! I'll probably start with one of the local brewers but will certainly hit every table. In addition to all the beer, there will be bar games, live music and a beer pairing event done by Gold Coast Distributors. And plenty of food too! Oh, and don't forget to stop by the homebrew section to see what the locals can do. Sprung! 's organizers said I could have a contest here to win a pair of general admission tickets. This contest will end in just a few days so if you lose you'll have time to purchase them anyway. This will be a random drawing contest--I don't want to judge. To enter, leave a comment naming your favorite Florida brewery with a few sentences why you chose it. Deadline is 7 am Eastern on Monday, 2/24/14, at which time I'll pick a winner randomly. One entry per person. Ask if you have questions. See you in a few weeks! Don't forget to wear your beer shirts as I'll probably be taking photos again.